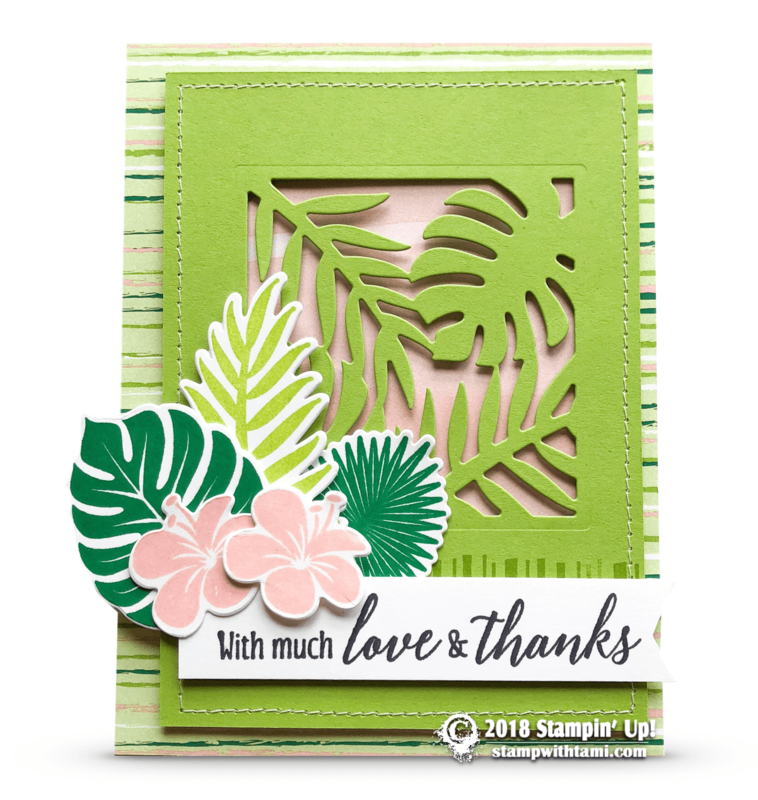 Yet another amazing card designed from the Stampin’ Up Tropical Chic stamp set and coordinating Tropical dies. Love this window die cut out on the front. The matching Tropical Escape designer series paper on the background. These are a few of the many projects from the Tropical Escape Suite.